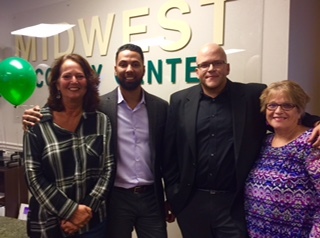 Midwest Recovery had their open house last week. This is Uncle Nate's new place of business. My mom and I had the opportunity to go and visit and enjoy a tour. Nate and his friend, Matt, who is the COO. The proud mama's with their super successful sons. Both of these fine young men bounced back after battling addiction. What an absolute amazing facility!